Meet The Doctor | Danville, CA | Paul Cannariato, D.D.S. Dr. Paul Cannariato is a leader in the field of dentistry who is passionate about protecting, restoring and improving the natural beauty and function of smiles. As a member of the Visiting Faculty of the prestigious Spear Institute, Dr. Cannariato completed rigorous coursework and clinical scrutiny with the Spear Institute and was selected to mentor other practicing dentists in advanced dental procedures. Dr. Cannariato earns hundreds of continuing Education units annually. He is an active member of the American Academy of Cosmetic Dentistry, American Dental Association, and Contra Costa Dental Society. Dr. Cannariato did his undergraduate studies at UC Davis and received a BS in Physiology. He attended dental school at UOP where he graduated with honors in 1987 and was admitted to the Tau Kappa Omega Honors Society. He then completed a mini-residency at the University of California San Francisco in Temporomandibular Disorders and Orofacial Pain. Since then, Dr. Cannariato has been dedicated to caring for his patients with a meticulous and gentle personal approach using the best technology and techniques. He treats his patients like family. 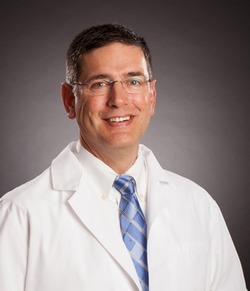 Dr. Cannariato has been and active part of the Danville community for 25 years and enjoys photography, hiking, bicycling, and spending time with is wife, Karen, and two children Elaine and James. He also welcomes his new daughter-in-law, Rachel, to the Cannariato family as James’ wife.